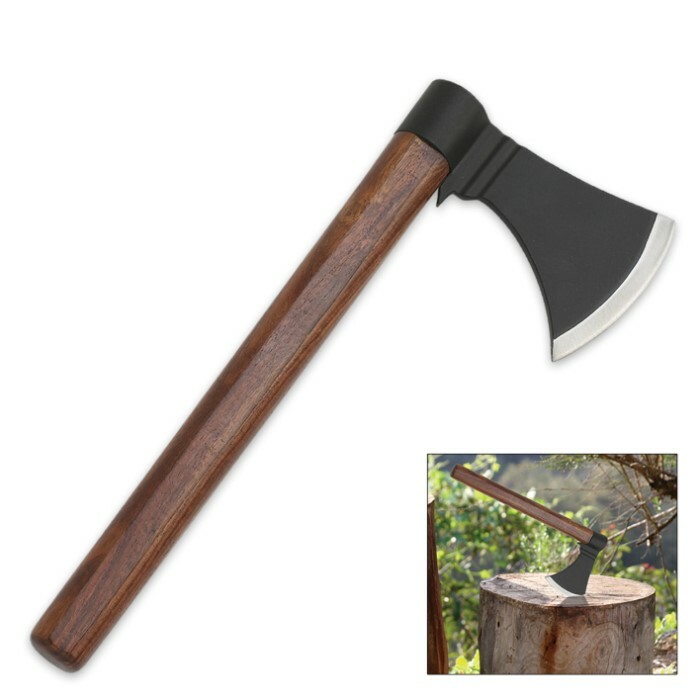 Add some zing to your throwing knife collection with the addition of this wood handled throwing hatchet. 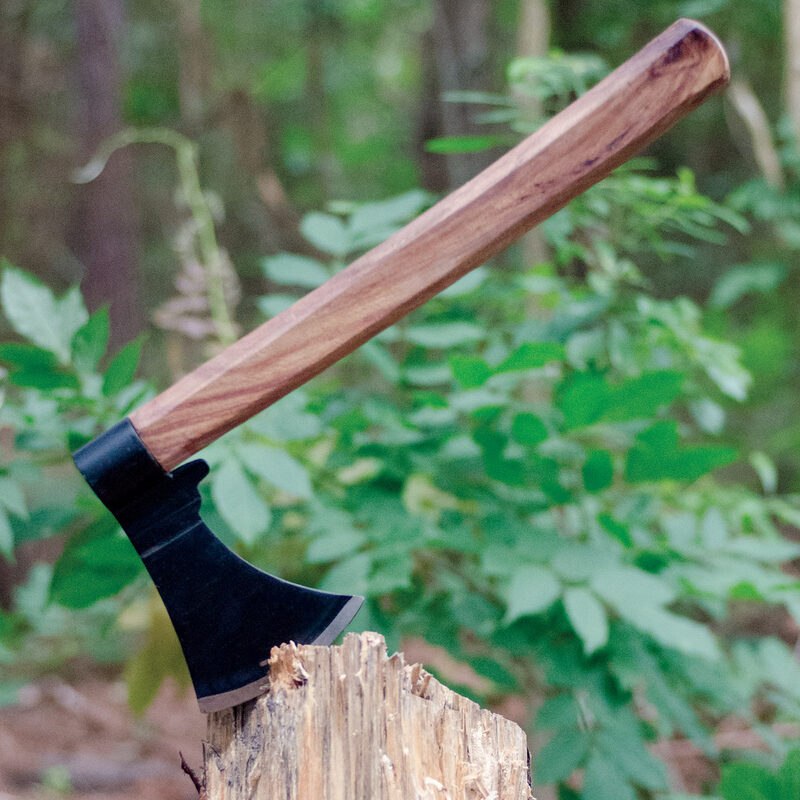 This throwing hatchet has the look and feel of a small axe, with an excellent weight and balance that make it a great selection for throwing. 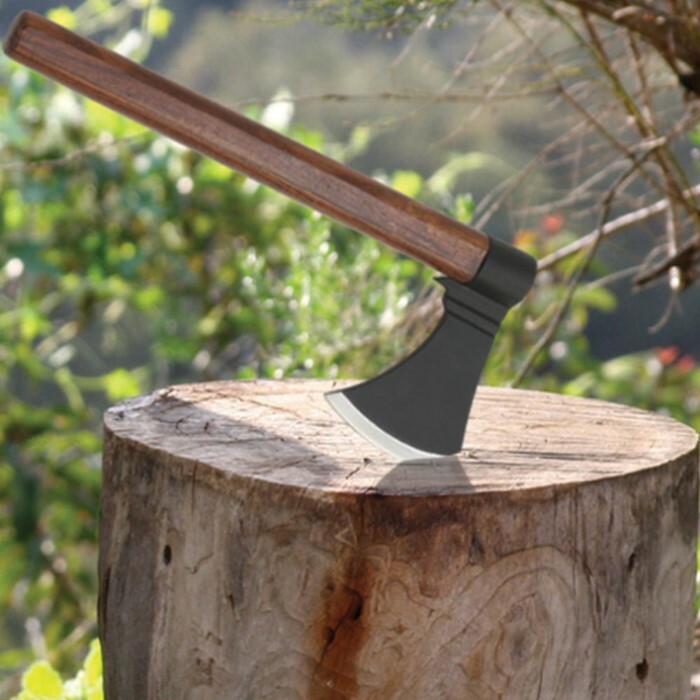 The steel axe head has a non-reflective black finish and a 3.5 in. sharpened edge. Measures 12.5 in. overall.